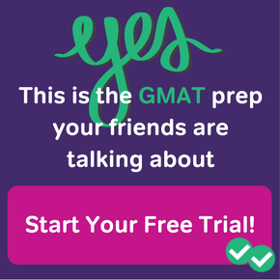 You’ve got your GMAT score. The schools all seem to care about the GMAT in their admissions decisions more than anything. Why isn’t that enough for someone to help you with this very stressful question? 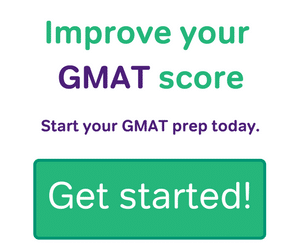 The reason that business schools have an extensive application with all these requirements – GMAT or GRE score, TOEFL if English is not your first language, college transcripts, recommendations, essays – is because they need all this information in order to determine if you’re a good fit to their program. Admissions processes are very well established. The schools make changes all the time, mostly to essay questions, but the process itself has been around for over a hundred years (or, if you mark time from when standardized testing was first introduced into college admissions, over seventy years – Ivy League schools began requiring the SAT in the 1950s). Let’s talk about some of these misconceptions, starting with the MBA admissions requirement, the GMAT. The common refrain about a GMAT score is, a high score can’t get you in, but a low score can keep you out. 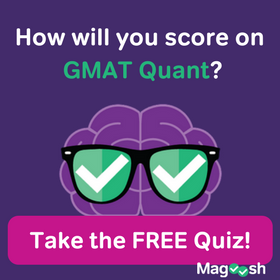 The second part of that truism – that a low GMAT score can keep you out of business school – is more discouraging. It’s also important to notice the word “can” in that sentence. A low score doesn’t mean you definitely will be rejected. Just like a high score doesn’t guarantee you entry, there’s a lot of other variables going on in your application that will be evaluated. These other variables – specifically the ones you have control over, namely the essays – matter for a lot. The schools make admissions decisions every year that are seemingly counter to what a GMAT score would indicate, based on the essays and the recommendations. If you have a high GMAT score, you need to couple that with a good pitch. The rest of the application needs to be watertight. A lousy set of essays is often the downfall. Conversely, if your GMAT score is borderline, it’s still totally possible to get in if every other part of your application shines. This means that the essays count for a lot. The recommendations do, too. And the resume. The piece that you have the most control over – once the GMAT test is done, at least – is the writing. The essays and your resume represent extreme potential for you. That’s where we believe that applicants have the most opportunity. 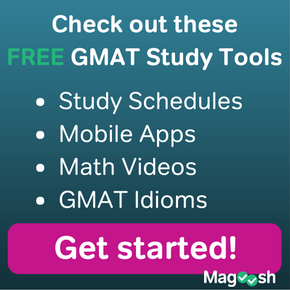 Nailing the GMAT is super important. It’s much more difficult to get into a great MBA program if your GMAT score is very low. Most people need to devote significant time and effort to preparing for the test. But the battle is not won (or lost!) when the GMAT is done. Most people need to devote a comparable amount of time and effort to the application essays – the difficulty of this step is almost always underestimated. The first set of essays will be particularly hard. Even if you’re a good writer, this is a particular kind of writing, and it doesn’t come naturally. Regardless of where you ended up on the GMAT, the final decision that the adcoms will be making on your applications often pivots on the essays. The essays are not the most important – everything factors in; you can’t isolate any one element and pin the final decision on that. But when you recognize that weaknesses elsewhere in an application can be overcome through a good set of essays, then you start to appreciate the role that they play. Each piece matters, or the admissions committees wouldn’t be asking for it. 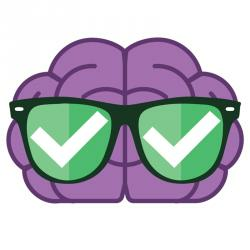 Don’t underestimate the power of the written word – and don’t shortchange your chances for admission by trying to take shortcuts on the rest of your application, now that you have your GMAT out of the way. Good luck with your MBA applications, everyone! Admissions consultant EssaySnark offers MBA application tips every weekday at the EssaySnark blahg. If you’re especially brave, you can even submit an essay for a free review posted anonymously on the site. Hundreds of helpful articles available at essaysnark.com. Increase your odds of getting into a great MBA program with The ‘Snark! Check out Magoosh’s GMAT Scores for Top B-schools infographic to learn the average scores of the top business programs. 4 Responses to Can I get into [insert top MBA program here] with this GMAT score? This is Sharoni (from India). I have recently completed my graduation with a cgpa of 7.6/10. I got 9.6/10 in 10th grade and 78% in my 12th grade (Science). I am preparing for GMAT and am planning to give my GMAT this year. How much should I score so that I can get into a top-tier B School (if not IVY LEAGUE) with a scholarship? For many programs, a 650+ is competitive, but it really depends on the school! I suggest that you start your research by visiting the admissions sites of the schools you are interested in and looking at their average GMAT scores! Thanks for your article, it really motivated me to apply now, I got a really bad score of 270 in the gmat and was devasted, I wanted to get into university of North Carolina and I know its a really bad score but i wanted to ask you what are my chances of getting through, I have 3.5 years of work experience with a good amount of extra curricular activities and a decent performance in my academics. Could you advice me on this. Hey Vinay! Sorry for the delay! Are you sure you got a 270? That’s in the bottom 3% or so and I have a feeling that you wouldn’t be able to compose such a clear comment if your scores were so low. If that is what you got, I can’t imagine being able to get into any legitimate program. Sorry for the tough pill to swallow, but it’s competitive out there!